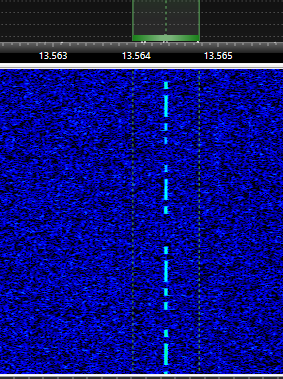 I decided to check the 22m band, and was pleasantly surprised with a nice strong signal from RF! Making it to Kentucky as well with good copy. Thanks for the reports guys!. I wonder if the extreme cold conditions across the country have anything to do with this good propagation? Interesting question. I suppose if the jet stream is formed and positioned by the ionosphere effecting the tropopause there may be something to that. So the cold temps don't influence "propagation", it's more like the other way round. Just some musings. Coming in again at 1546z on 4 Jan 2018. I saw that foF2 was around 7 MHz so I decided to check out 22 meters.